I agree with a lot of what you said – there are a lot of one-on-ones and the first time I saw it, the exposition seemed to go on for a long time, with the film slowing around the 45 minute mark. Second time this wasn’t the case – maybe because I knew what was coming – but more because I was one of those that hyped it up so much. For me, this was “The Phantom Menace” all over again; I couldn’t wait. 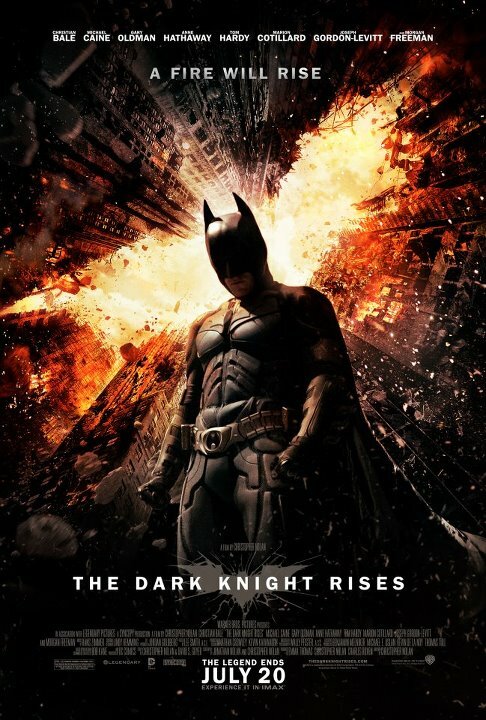 I’m a massive Batman fan, love Nolan and the combination has been good for two films. Thankfully this didn’t disappoint, nor did it try and tell the same story again. I thought all the new characters added to the story without taking the spotlight from Bruce Wayne / Batman, I thought Hardy was EXCELLENT and Bale was his usual strong self. Not enough Batman fighting?! Not for me, I thought it was perfect. The score is brilliant. Is there anything wrong with it? Is there anything I didn’t like? Maybe the bionic leg solution to a lack of cartilage in Wayne’s body was glossed over, maybe Alfred’s voice, maybe not, but these are minor niggles! It’s epic in a way that other blockbusters (i.e. Battleship) just can’t get close to, it challenges an audience to keep up rather than sit back but still entertains, having enough for batfans and casual audiences. I loved Avengers Assemble (still don’t like the title though) but TDKR is the film of the summer so far for me.